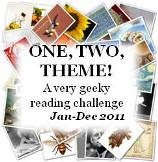 J. Kaye from J. Kaye's Book Blog is hosting the 2009 Support Your Local Library Challenge where participants are encouraged to read from their libraries between 1 January and 31 December 2009. There are various level of participation, but I'm committing myself to reading 25 books from my library. It seems a bit high for me, but I'll try! Lezlie - I tried to give myself half a chance... 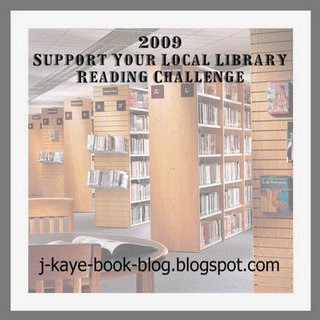 I bought so many books in 2008 that I know I won't be using the library all the time!